Trust Advisor’s 2015 guide to America’s best TAMPs offers compelling reasons. This article examined why some advisors resist using separately managed accounts, concluding that it doesn’t have to be an all-or-nothing proposition. For those advisors who choose to go the route of fee-based third-party money management (which has now turned into a fast-growing majority of advisors, according to several studies), The Trust Advisor’s 2015 America’s Best TAMPs guide is an excellent resource for looking at the ins and outs of turnkey asset-management programs. As a side note, in the acronym-filled world of financial services, this particular sector offers plenty of interesting challenges—even for those who have been around the industry for a while. It starts at the most basic level, with the “P” in the acronym TAMP, which is referred to at times as program, provider, or platform. TAMPs are also often viewed erroneously as interchangeable with TPMs (third-party asset managers), OCIOs (outsourced chief investment officers), SMAs (separately managed accounts), and UMAs (unified managed accounts). While all of these can share some attributes and functionality, they are different slices of the outsourced investment management pie. The 2015 guide provides an excellent glossary of terms to help define many of the differences. So, what is a TAMP anyway? A fee-account technology platform that financial advisors, broker-dealers, insurance companies, banks, law firms, and CPA firms can use to oversee their clients’ investment accounts. Turnkey asset management programs (TAMP) free up these professionals’ time to focus on providing clients with service in their areas of expertise, which may not include asset management tasks like investment research and portfolio allocation. TAMPs also handle account administration, billing, and reporting. Essentially, TAMPs let professionals delegate asset management responsibilities to someone else who specializes in it. TAMPs can serve all types of investors, from mass market, lower-net-worth clients to ultra-high-net-worth individuals. What benefits do TAMPs offer financial professionals entrusted with client money? They feature a platform with selected and vetted investment manager options, while supporting functions that range from reporting to compliance to operations. They allow for more efficient client processing, more variety in money manager styles and products, and improved profitability over most in-house solutions. They enable financial advisors of all stripes to talk with their clients more often and effectively through mobile and web-based channels. Clients are receiving faster information and greater self-service options, leading to more satisfied and loyal customers. An outsourced capability allows the financial advisor the freedom and time to interact with the client and provide the greatest value to the relationship. Financial advisors are only paid for doing two things: creating relationships and using those relationships to gather more assets. Regardless of necessity, every other activity is effectively uncompensated. TAMP platforms allow financial advisors to complete those non-compensated activities with optimum efficiency and focus on revenue enhancement. TAMPs provide a variety of services, but all TAMPs have two major functions in common: (1) They provide a platform for wealth advisors on which to manage client relationships; (2) They provide third-party professional-grade (institutional) asset managers to manage the clients’ assets. TAMPs have now turned the corner and are ready to become the dominant model of investment management within the retail wealth-management space. Does the TAMP provide a full range of administrative support functions in addition to wealth management and portfolio solutions? Does it have first-class back-end reporting functions, administrative support, and accounting? Does it facilitate the ongoing advisor needs for opening and closing accounts and transferring assets between accounts? Does the TAMP have access to innovative asset managers and allow a wide range of portfolio options for clients? Do featured asset managers provide strong emphasis on risk management, which has become a major client concern since the financial crisis of 2007–09? Does the TAMP offer comprehensive servicing of a variety of account types, allowing the advisor in many cases to implement “one-stop” servicing for the needs of any specific client? Do asset managers on the platform offer a range of portfolio solutions appropriate for the diverse risk profiles of clients in an advisor’s client base? Another key question associated with performance: Does the TAMP allow for fee transparency in conjunction with an advisor’s own fee compensation, so end-clients can clearly understand the total fee structure? And, near the very top of the list, does the TAMP meet the highest industry standards, providing solid reassurance to advisors that their fiduciary responsibilities to clients are well-represented by both the TAMP itself and its third-party managers? Do they optimize for tax and trading efficiency? Do they have the capability to generate comprehensive investment policy statements? 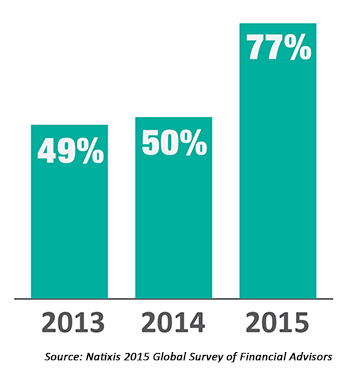 The 2015 guide emphasizes not only the changing landscape of technology and managed account solutions, but also the demographic changes in the wealth management industry for advisors and their client base. 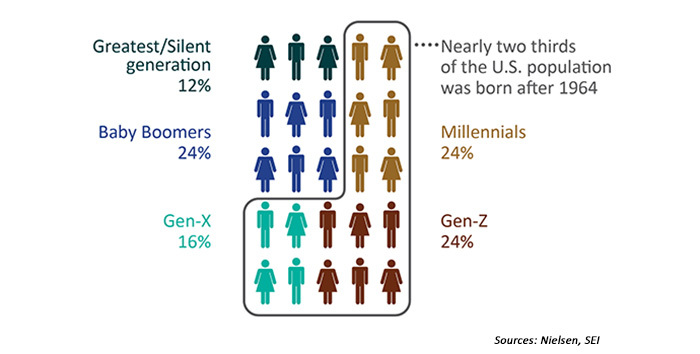 While advisors still tend to see the bulk of their relationships and assets under management (AUM) residing with individuals and couples nearing or in retirement, proactive advisors are already ahead of the curve in preparing for a new generation of both clients and their own new and younger associates and/or successors. To paraphrase the 2015 guide: Younger advisors appreciate and utilize the technological capabilities of TAMP platforms. While face-to-face client service remains the standard for wealthier and older clients, a firm should not get locked into a single delivery channel solution. Millennial clients, who also favor advanced technologies, have come to expect fast, convenient, and efficient service from anywhere, at any time of the day. Nielsen reports that this group makes up 14.7% of those with assets in excess of $2 million, making them the second most profitable segment behind Baby Boomers. Advisors would be wise to incorporate technology into their approach. The platforms, built for managing clients’ needs directly, allow for more efficiency in every step of the client interaction. For an advisor, using a TAMP means more time with clients, more assets gathered, and more referrals per marketing dollar. The client benefits as they get better investment solutions as they and their advisor sit on the same side of the table. Clients come to understand that by using the TAMP model, their advisor is taking a long-term, holistic approach to managing their wealth.